ADVANTIS control console designed and manufactured by GESAB, shines as a fully configurable solution , modular, to fit any need for 24x7x365 operations centers. 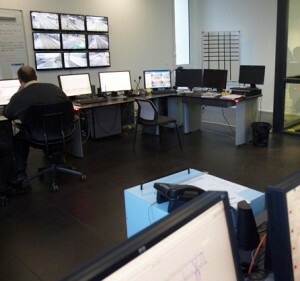 In the Reims tram (France) Alstom Italy and GESABs Italian partner ElPack thoughtADVANTIS as an ideal solution for a control room with special needs. Four people per shift control rail traffic, a support bus line and security forces that protect the users of the service. The challenge was to provide a solution for a double operator desk, one simple and one in a room attached for the supervisor. GESAB team, set the control console ADVANTIS, along with its bucks for storage of documents and administrative material. That setp up was complemented with Freedom ergonomic chairs 24 × 7 by Humanscale. An example of international success by GESAB Group.